The new Ducky One 2 keyboards are lovely little things. And some lovely larger things too, as they come in a variety of sizes. But there are a host of other variables that come into play when choosing which of the different One 2 boards to call your own… not least whether Ducky has jammed in its mechanical switches upside down. It’s all about the LEDs, you see, as so much is in the gaming peripheral world right now. When you put the lit switches in upside down it makes a massive difference to the overall aesthetic of the keyboard, and I think makes it look smartly understated and also rather gorgeous. 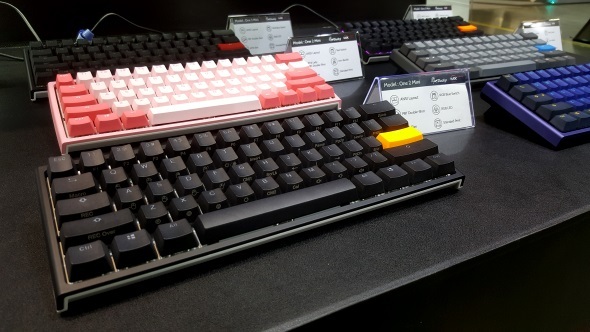 Get your pick of the boards from our range of the best gaming keyboards around. The standard orientation of a mechanical LED keyboard switch is to have the light on the topside to allow it to shine through the translucent section on the top of the keycap which illuminates it. But keyboard modification is becoming more and more mainstream and Ducky isn’t ducking it. 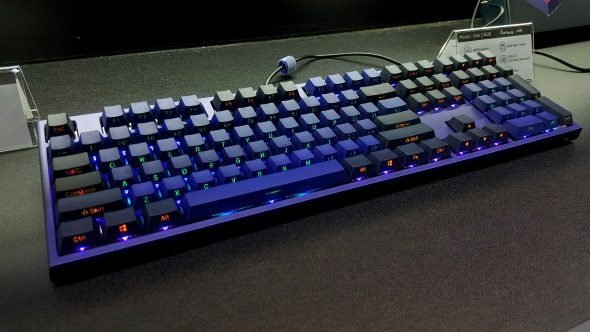 With these alternative upside down One 2 variants the translucent section of the keycap is on the side facing the user and by having the switch mounted upside down the LED can then directly illuminate the side. It gives a much cleaner look to the board, leaving the top of the keycap completely clear, and I really like the style of it. There are lots of other options too, with the One 2 getting both a compact TKL design and a One 2 Mini without even the cursor keys. I particularly love the two-tone pink one and the two-tone effect is something Ducky is continuing with its Shine 7 range of aluminium-based keyboards too.